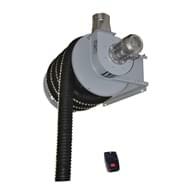 Vehicle exhaust hose reels that are rewound by a motor or by a spring are the solution that has been most widely used traditionally for extracting fumes through a flexible hose and a nozzle. 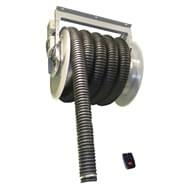 WORKY's GMR vehicle exhaust hose reels are available for diameters from 75 mm to 150 mm and lengths from 7.5 m to 15 m. With such a wide range it is easy to find the right model for every situation. 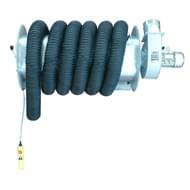 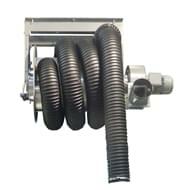 The range of GER exhaust hose reels is even wider. 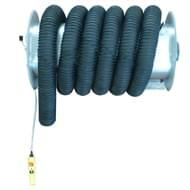 These are exhaust hose reels that are rewound by means of a control panel (GER) or remote control (GERT). 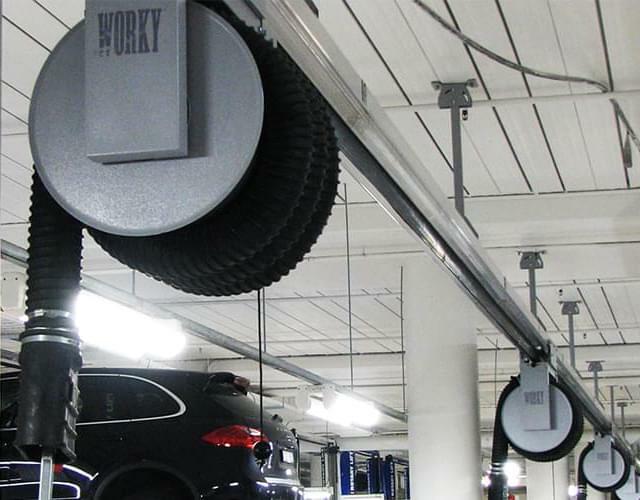 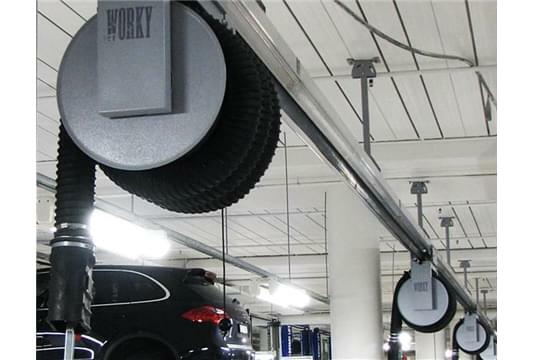 The range of mechanical models are complemented by the largest commercially available diameters that reach 200 mm for lengths up to 15 m for heavy-duty applications and use on special vehicles. 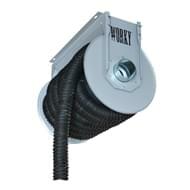 The availability of exhaust hose reels with directly coupled fans and the range of accessories like automatic start of the extractor fan and opening and closing valves of the exhaust hose reel make a professional, reliable product from the WORKY range for extracting fumes from cars, motorbikes, trucks and special vehicles.